Spray bottom of a 6 quart slow cooker with cooking spray. Then place chicken breasts in the bottom of the cooker. Pour dry stuffing mix over chicken. 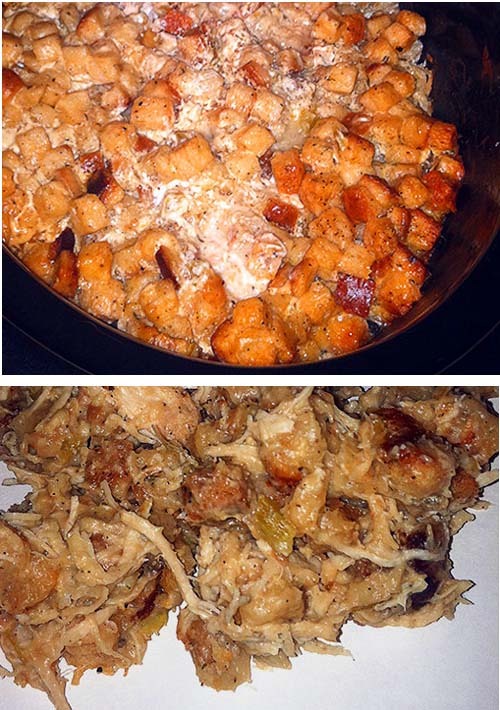 Mix sour cream and soup then pour over chicken and stuffing. Cook on high for 4 hours. Scoop ingredients onto a serving dish and fluff them before serving. Yummy.